Imagine for a moment that you’re a cowboy (or cowgirl) on a cattle drive in the late 1800s. You’re on your way to “Cowtown” Wichita with a herd of steer headed towards the trains. Wyatt Earp has restored some semblance of order to the city, but you still keep a watch for horse thieves and cattle rustlers when the sun goes down. One night, around the campfire, eating a customary bowl of beans, you realize a horrible pain in your mouth. A toothache begins to rear its ugly head. For the next few days, you try and ignore it. Every piece of dried beef you chew on the other side of your mouth. Once you get into town, however, you realize the dreaded time has come… You’re going to have to go to the dentist; this toothache isn’t going away. 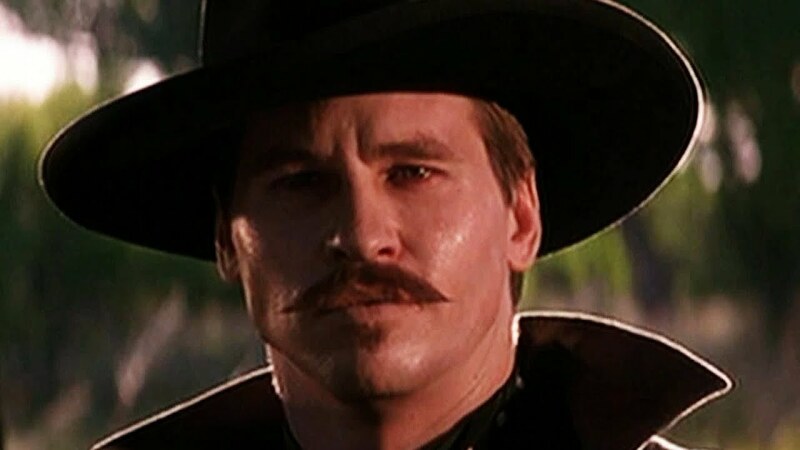 Unfortunately, Doc Holliday, the famous dentist and outlaw, wasn’t friends with Wyatt Earp in Wichita so you were likely to see the barber who also moonlighted as a dentist. Taking a quick glance at your mouth, your diagnosis? Extraction. That was pretty much the only option in those days. The problem tooth had to come out. At that time there was no way to numb the area. Most likely your anesthesia would be a bottle of whiskey or if you were lucky, cocaine would be used as a local. You’d probably need a few days to recover from the procedure. Pliers weren’t that gentle on the mouth, and whatever you tried to do to dull the pain was going to stay with you for a while. It’s easy to take things for granted. We have more information at our fingertips than we could ever take in. We also have amazing advances in dental technology and preventative measures. With the way we now approach dentistry, having an issue with a tooth is no longer a life-threatening issue. If you’re visiting us regularly, we’re going to know the best course of action to protect your teeth and your oral health. That’s why preventative dentistry is so important. There’s no reason anymore to wait until you’re at a critical level of pain or discomfort. The minute you walk through our door, we’re going to have the tools to get your teeth back on track. We’re also not here to try and give you procedures you don’t need. Our goal is to make you comfortable and confident with your smile. There’s a lot more to understand about Preventative Dentistry and we’d love for you to get to know more. Please download our eBook below to take in more facts and reasons to be one of our regular customers. If you’re ready to schedule your appointment give us a call at: (316) 722-1110 We’ll never judge where you’re at with your dental health, only give you solutions to the problems you feel you have and a plan for success.